Meet us under the Big Top! We have the tents up at all four stores in the Triad including our newest store, in Northwest Greensboro on Battleground Ave. Check out the big tents at the Holden Rd. store in Greensboro and the Silas Creek Parkway store in Winston-Salem. But every showroom is filled with marked down items and special pricing. We have filled up the tents with thousands of factory closeouts, one-of-a-kind items, truckload inventory and special purchases. This means lots of savings on beautiful furniture. 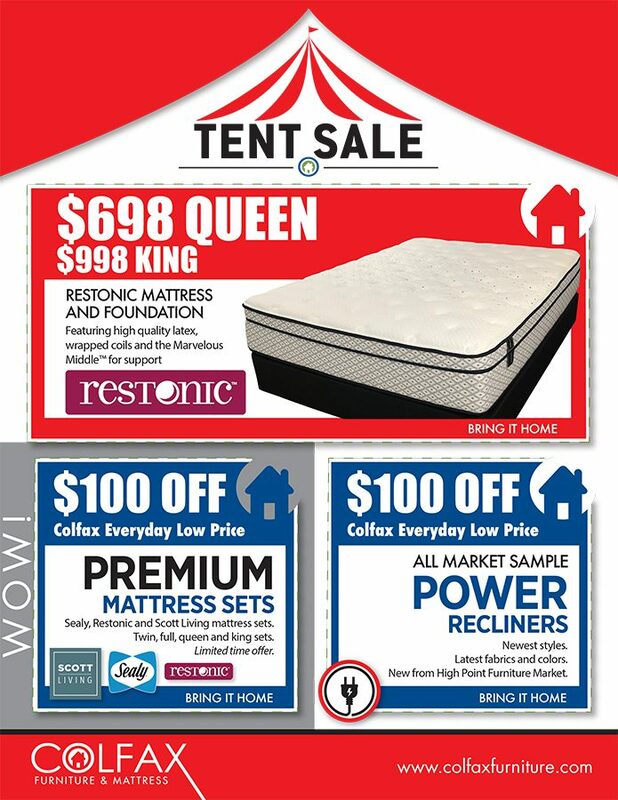 As an extra offer – get an additional $100 off premium bedding and $100 off power recliners! !